UPDATE 23 (5th June 2011): My free game downloads finished successfully, and hopefully yours did too. Scouring the PS Store has revealed even more stuff you can pick up completely free, so here's my list, so far, of all the items you can get for free, or for a discount. UPDATE 22 (4th June 2011): Welcome Back content has gone live. Some of you may be getting errors, but be patient or you may risk losing your free downloads. Make sure to go through the 'Welcome Back' option in your respective Playstation Store to claim your free games and month of PS+. Reviews of all the Welcome Back games will be coming soon! UPDATE 21 (2nd June 2011): The Playstation Store is back online! This is excellent news, however, it seems that the Welcome Back program has not yet started. An exact data has not yet been announced, so we'll have to wait for news about this. Playstation Community Team Moderator RabidWalker posted on the Playstation EU forums information about the Playstation Store return and the Welcome Back program. Highlights include the fact that, due to the PS Store being down longer than expected, all users will received an additional ten days PS+ membership, bringing the total free PS+ time up to 70 days. A great bonus for current PS+ members is the inclusion of Burnout Paradise into this month's Plus update, available completely free! He also says that additional details for the Welcome Back programs of each region will be announced soon. UPDATE 20 (1st June 2011): The PSN maintenance is over and the network is back online, but the Store is still down. However, Sony have released this statement regarding the return of the Playstation Store. "Sony Corporation and Sony Computer Entertainment (SCE) announced today that Sony Network Entertainment International (SNEI, the company) will fully restore all PlayStation®Network services in the Americas, Europe/PAL territories and Asia, excluding Japan, Hong Kong, and South Korea by the end of this week." That's right, Sony have officially announced the return of the PS Store will be this week. "Block Cascade Fusion is coming as Minis for PS3 and PSP to North America on 3rd June 2011!" This nails down the PS Store re-opening, at least for America, on 3rd June. Let's hope they're right. UPDATE 19 (30th May 2011): Rumours are flying again about the re-opening of the Playstation Store, which is reportedly imminent. "PSN Network Maintenance has been scheduled to take places from Tuesday 31st May at 19.00 GMT until Wednesday 1st June 01.00 GMT. If you attempt to log in during this period you will receive the site maintenance notification page. If you are already signed in during this period you should be able to stay connected and you will not lose your gaming session (however the above services will still be unavailable)." The cause of the maintenance is rumoured to be preparation for the Playstation Store opening on Wednesday. Opening the PS Store on the 1st of the month does make a lot of sense, but whether this will actually happen or not is yet to be seen. UPDATE 18 (29th May 2011): PSN is back online and you should be able to sign in normally again. UPDATE 17 (29th May 2011): PSN has suddenly gone back down again. The Asian PSN has recently come back online, so it may be something to do with that, or otherwise just coincidental technical difficulties. It seems that it's only occuring in some countries, and speculation suggests it's due to the PS Store coming back online, which is now overdue. Sony EU Community Team member Yaster posted via Twitter that "PSN is experiencing a couple of issues with sign in right now, looking into it, in the meantime don't sign out!" UPDATE 16 (25th May 2011): The PSN maintenance has ended and Playstation Network has come online but unfortunately the Playstation Store is still closed. UPDATE 15 (24th May 2011): One week after the PSN came fully back online, it's going back down, this time for scheduled maintenance. According the EU Playstation Blog, the PSN will be down for maintenance from 16:00 GMT until 00:01 tomorrow morning. During this period you won't be able to sign in to the Playstation Store (although you couldn't yet anyway), access account management or register a new account. Hopefully this maintenance will result in the return of the Playstation Store. UPDATE 14 (17th May 2011): Things seem to be getting back to normal and I am finally back online. With online play working it's now just a matter of time before the PS Store comes back online and I can get my hands on those free games! UPDATE 13 (16th May 2011): Reports state that PSN has gone down again in places, sporting the 'under maintenance' warning again. My email for password resetting still hasn't come through, even after nearly a full 24 hours, and now attempting to sign up results in a 'Server error' dialogue box. To be eligible for the free games you need to be a PSN member before 20th May. The offer lasts for 30 days. The page containing the Welcome Back details has now been removed. Whether this is simply because Sony aren't ready to announce the details yet, or whether additions/changes are being made is yet to be seen. UPDATE 12 (15th May 2011, Evening): OK - a separate update because this is the news I've been waiting for for weeks! UK PSN is now online! Unfortunately I am stuck waiting for the email with password change instructions to come through, although I know The_Stacked_Nerd is already back online. Can't wait to get back to PSN. 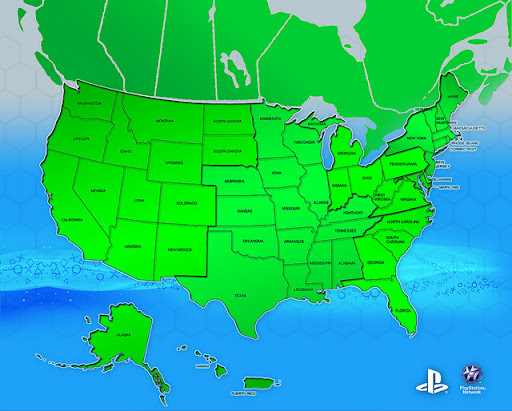 UPDATE 11 (15th May 2011): A very exciting update today - PSN is being rolled out slowly across the world. If your area is reported as online but you still can't get on, just give it a little time and it should work. Those in the EU will have to wait a little longer. Sony Playstation Ireland announced via Facebook that, although they can't give an exact time as to when PSN will be back in Ireland, the network should be back online for Europe by the end of the day. Follow @PlaystationEU on Twitter for up-to-date details about areas going back online. Sony Online Entertainment's services, such as Everquest, Free Realms and DC Universe Online, have also come back online. The SOE website currently brandishes a large banner alerting visitors to the downtime and data breach and gives links to help welcome back users, aid them in identity protection, and reset their password. Now, for those eager to get back on PSN, the first thing that you need to do is update your Playstation 3 to the newest 3.61 firmware. You can either update using your Playstation's System Update functionality, or download the update from the Playstation website and transfer it to your console via USB memory stick; all details of how to do this can be found on the site. The 3.61 update requires you to change your PSN account password before being able to get back online. Despite what I posted previously, you password can only be changed on the PS3 on which your PSN account was activated. Sony have realised that this may be a problem for quite a few people, myself included, so an email should be heading you way soon with instructions on how to change your password online. Once you have changed your password you can sign back in to PSN (using the new password, of course). For help with the password changing process, Eurogamer has posted an article to guide users through the process. Representative Corporate Executive Officer and Executive Deputy President of Sony, Kazuo Hirai, has released the following video explaining the PSN rollout in detail. Some of you are probably wondering about the free content promised by Sony as compensation for the downtime. The content has yet to be announced, and will be detailed closer to 'phase two' of the PSN rollout, which includes bringing the Playstation Store back online. Now this is only a post on NeoGAF with no proof behind it, but with Sony Japan's statement regarding the PSN testing phase, it doesn't sound too far fetched. Of course, only time will tell. UPDATE 9 (12th May 2011): Another ten days have passed with PSN still down, and no information with enough solid fact for me to feel it neccessary to update this page, but today there's been news of some progress. One of my friends rang up Sony recently to ask about PSN and the word was the it would be back up by the 31st of the month; if this news is to be believed, it should be much sooner than that. "PlayStation Network and Qriocity and continuous disruption, we're really sorry. As we said the other day with the latest information on the next restart of the service, this phase will be conducted in phases at regional level to ensure the safety of our customers. We are preparing to be able to resume service as soon as possible in Japan, and now we are doing the testing phase to ensure the safety and security by providing the most advanced. To complete the move to more secure facilities we are further strengthening the server, encryption, firewalls and the expansion of new companies with a good peace for a new "PlayStation Network" and "Qriocity" to be in a position of greater support. The monitoring and the introduction of warning systems now facilitate early detection of cyber attacks, underwent a system upgrade intended to eliminate vulnerabilities, and established a system that ensures the management of important information customers that we have to protect their personal information. To ensure the safety of all of you, it took a while longer, and ask humbly thank you for your understanding. For the latest information, this site will guide you at all times. For each of our customers and partners, we deeply apologize for the inconvenience and disruption caused." UPDATE 8 (2nd May 2011): Sony have held a press conference regarding the PSN security breach. A major point of the conference was Kazuo Hirai, chairman of Sony Computer Entertainment, expressing his deep apologies for the incident, and reportedly bowing for seven seconds. The next step for Hirai is "making sure Sony can regain the trust from our users". He also says that the security breach is not the only cyber threat Sony is facing at the moment, with Anonymous still a threat. While Anonymous weren't responsible for the PSN data leak, they were responsible for releasing personal information about Sony's top management, and Sony are said to be countering the threats with necessary law enforcement. Luckily, it seems that the attacks will not delay the production of the NGP or the currently unannounced Sony tablet. They have also said that you are not required to use the same PS3 your PSN account was created on to change your PSN password when the network comes back online, which is great for users, like myself, who no longer have their original PS3. UPDATE 7 (1st May 2011): After a few days of inactive PSN, but little in the way of announcements, a lot has happened at once. A part two to the list of FAQs has been released on the Playstation Blog to answer even more of those questions anxious users have been pondering. When PSN comes back online, the Playstation 3 will have a forced system update, requiring users to change their passwords to be able to access PSN again. As a new security feature, account passwords will only be able to be changed on the PS3 the account was activated on. There is also an option to change the password via "validated email confirmation" so as not to cause problems with PS3 owners using new Playstations for whatever reason. Also, as a sort of 'sorry we messed up' gift, different regions will be offered free to download PSN content, all PSN members will be eligible for a free 30 day PS+ membership and existing customers will have 30 days extra added to their subscription, and Music Unlimited subscribers will receive 30 days free service. Very nice! UPDATE 6 (28th April 2011): We are definitely passed a week of PSN being offline and a lot of information has been flying around. It was a sad moment for me to learn that Sony's stocks had taken a bit of a fall this morning and that somebody was trying to sue over the matter. While Sony may have to take at least some of the blame, nearly all of the blame lies in the hands of the hacker(s) that actually went in and took the data. They didn't need to do it, and if they knew how to do it, why not be constructive and inform Sony that data is at risk, rather than committing a criminal offence? Sony have said, off-record, that credit card details are most likely not compromised, although, rather wisely, have chosen to not officially take this standpoint. Credit card company Visa have suggested that cardholders need not take drastic measures yet, and just "keep a close eye on their accounts and report any unusual or unexpected activity to their issuing bank". There has also been a rumour that Sony is requesting that PS3 developers install new SDKs on their developer consoles before the PSN comes back online - presumably a measure to help stop this breach from happening again. Reports of Sony enlisting the help of the FBI to hunt down the hackers behind the breach have also surfaced. Finally, a very long list of Q&As have been released on the PSBlog, hopefully answering all anxious PSN users' questions regarding both the Playstation Network and Qriocity. UPDATE 5 (27th April 2011): After nearly a week of downtime, PSN users' worst fear has been confirmed: sensitive data attached to users PSN profiles, including email addresses and passwords, telephone numbers, and even credit card numbers and expiry dates have been compromised. Sony have been quiet for the past seven days regarding the matter and now we know why - this isn't the sort of news they were wanting to give. After many PSBlog 'updates' containing little to no new information, today's post is a giant, and gives full information about the severity of the breach. For more information on what to do about this matter, read the full blog post or our article on how to keep yourself safe. UPDATE 4 (26th April 2011): This is becoming a widespread talking point now, with rumours flying around and even a section on BBC News about the outage, and even they said that the information regarding the matter is few and far between. No new PS Blog update so far today, but Electronic Theatre has received information from a representative of Sony Computer Entertainment Europe (SCEE) saying that Sony is hoping to resume PSN service by tomorrow. It is, however, made clear that their contact is not working on the problem himself, but he does know people who are. Of course, whether their contact is actually a member of SCEE is another matter, but with another day of little information, it's still just a matter of waiting for official updates. "I know you are waiting for additional information on when PlayStation Network and Qriocity services will be online. Unfortunately, I don’t have an update or timeframe to share at this point in time. As we previously noted, this is a time intensive process and we’re working to get them back online quickly. Will keep you updated with information as it becomes available. We once again thank you for your patience." Although, again, rather vague, it's mildly encouraging that Sony appear to remember that this is affecting a lot of people, and with the downtime day count now up to roughly 5 days, some users are starting to get impatient. The source of the problem is still either undetermined or a secret. An article on VGRevolution listed SCEA's 'answers' to several of the main questions PSN users have been asking: When will the service return? Will PS+ members be reimbursed? and Is our information safe? Unfortunately, the answers all boil down to 'we will keep you updated'. While it's reassuring to hear that that the issue is working on, the line stating they are "Re-building [their] system" means that this outage is going to continue for some time. The video states that AnonOps was not responsible for the attack, and attempts to claim that Sony is experiencing internal server errors and is merely laying the blame on Anonymous. While this could be true, I can't believe a company like Sony would use those kind of dirty tactics. The video also mentions that another section of Anonymous may have performed the attacks. While this complete destroys Anonymous' motto of "we are one", this sounds likely, especially considering the statement from (a section of) Anonymous that I mentioned yesterday. Well, regardless of the cause of the attack, it doesn't seem that the servers are coming back online any time soon. UPDATE 1 (23rd April 2011): PSN is still down, and it couldn't of come at a worse time. With the Easter Bank Holiday weekend upon us, many gamers, who have probably picked up new releases such as SOCOM: Special Forces, Mortal Kombat or Portal 2, were hoping to sit in and relax with their new games. But it seems their game-playing will be confined to offline. "An external intrusion on our system has affected our PlayStation Network and Qriocity services. In order to conduct a thorough investigation and to verify the smooth and secure operation of our network services going forward, we turned off PlayStation Network & Qriocity services on the evening of Wednesday, April 20th. Providing quality entertainment services to our customers and partners is our utmost priority. We are doing all we can to resolve this situation quickly, and we once again thank you for your patience. We will continue to update you promptly as we have additional information to share." "We have attacked Sony in order to send a message that gamers worldwide have certain rights, and are not merely sources of income. Your temporary inconveniences have allowed a lasting impact to be made upon Sony, and other corporations that are tempted to follow in the pursuit of sacrificing service to customers in exchange for larger profits. Although you may have been unable to game for a day, this event will likely provide hundreds of hours of such in the future. Anonymous are gamers too. And we support the rights of people worldwide, and will stand up for the right of having access to the device that you BOUGHT." The PSBlog post, with reference to an "external intrusion", pretty much confirms that PSN was hacked, and added to Anonymous' statements it's not hard to put two and two together - PSN was successfully taken down by Anon. Anonymous' actions just don't make sense to me. Now Sony have taken down the PSN for even longer in order to establish exactly how their network was brought down, yet again punishing Playstation users. If Anonymous were gamers as their statement suggests, then why would they take down their own network? I'll post updates as they come in. I've been having problems signing in to PSN all week, but now it seems that the service is definitely down. With a post on the Playsation Blog explaining that Sony are aware of the problem, the issue is obviously being looked in to, but that was posted yesterday and there seems to be no improvement and no more updates on the matter. "We’re aware certain functions of PlayStation Network are down. We will report back here as soon as we can with more information. Whether this is more Anonymous attacks, routine maintenance or just a server hiccup is yet to be seen, but, at least for a little while, it's going to be single-player only for Playstation users.